When it comes to our school days, we probably all remember sneaking the occasional daydream in between classes and imagining up wonderful worlds brimming with colourful characters. But what if we could bring these worlds to life? 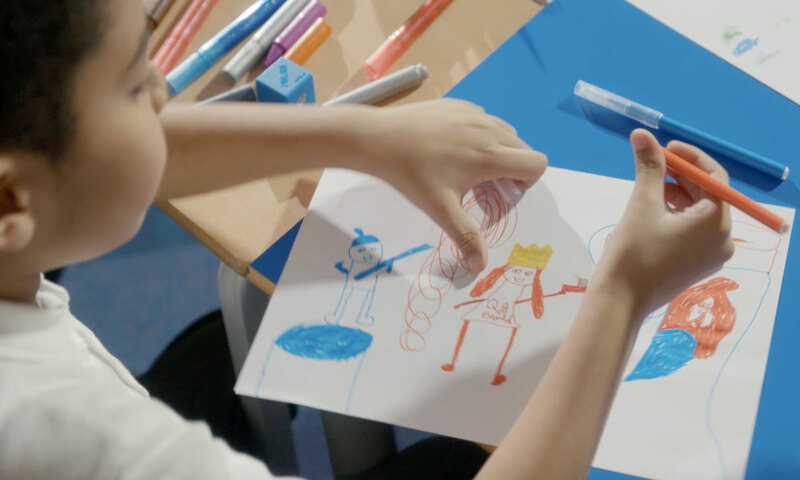 To remind us what pure creativity feels like and inject a little imagination into the everyday, we set ourselves the challenge of bringing the creative minds of 7-8-year-olds to life in virtual reality, for the very first time. As we chatted about in our recent innovation in VR article, the world of education is ready and primed for new technologies to become a key tool in bringing the classroom to life. There’s more scope than ever to change the way we learn and make lessons an even more interactive experience. Imagine being able to take apart a virtual model of photosynthesis in Science class, or wander the streets of Rome in History. 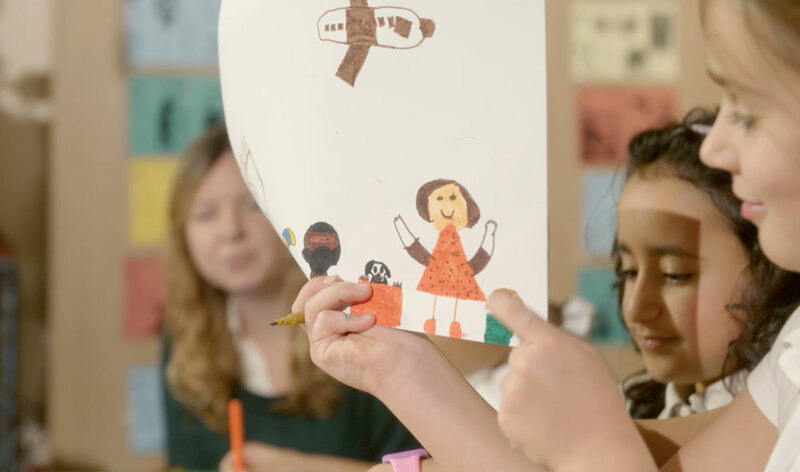 Our Creative Director, Matt Beveridge, said, “Children are great creatives because they use their imagination all the time. Most obviously in the playground, but also in the classroom when picturing past histories or when making sense of new ideas. 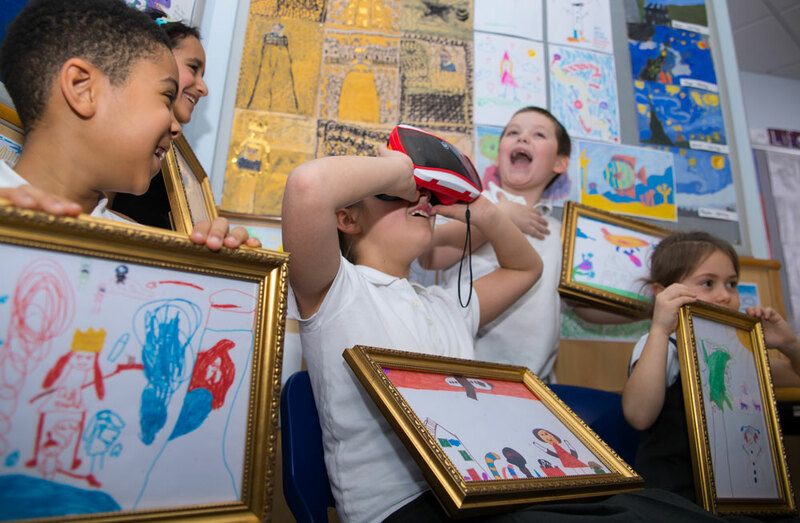 Educational organisations want to harness the power of imaginative learning through virtual reality experiences and VR definitely has the potential to be the blackboard of the future. So, how exactly did we bring the imaginations of these creative kids to life? 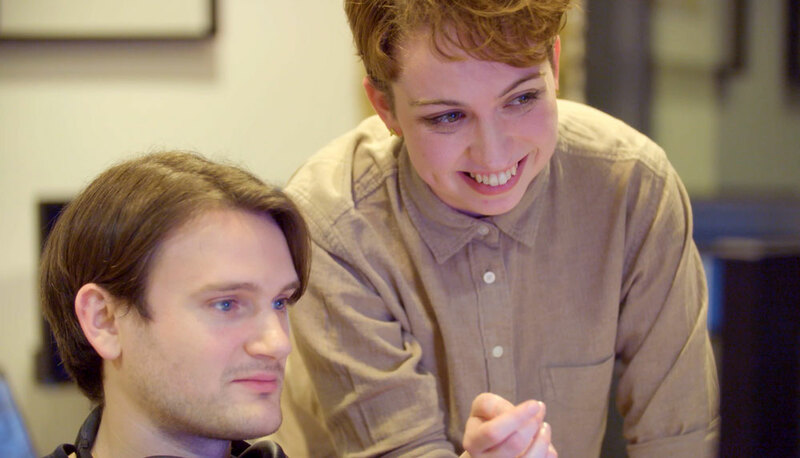 We talked to the film’s Director and Creative Lead, Amy Durrant, and Design Director, Chris Ennis, to find out how we brought the realm of dino disco parties and bow-tie-wearing giraffes to virtual life. I’ve always loved the idea of a multi-coloured T-rex at a disco party. In fact, I think you’d be hard pushed to find someone who didn’t. 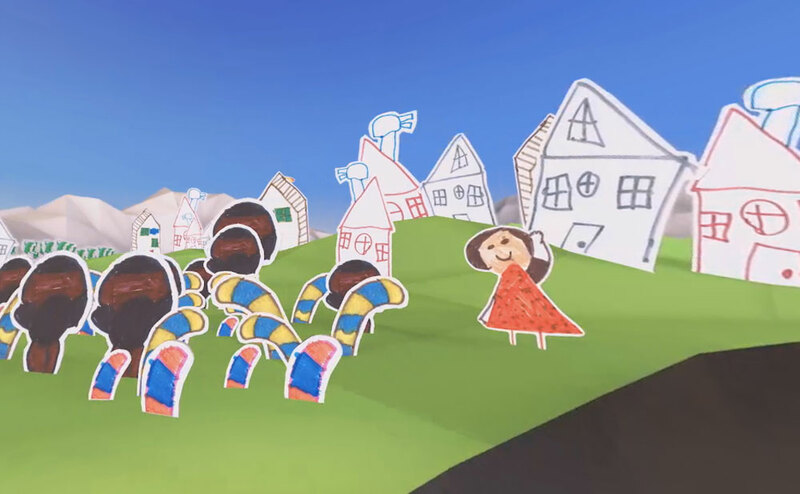 So for me, bringing the mad imaginations of kids to life was a very exciting next step for VR. There’s so much untapped creativity when we’re younger and merging this with a world you can explore and interact with holds so much potential. Before we kicked off, I met the kids a couple of weeks ahead of filming to get a sense of their very unique personalities and was immediately blown away by their ideas. The places their minds went to when I asked open questions like “What’s the best thing you can think of?” or “Imagine the craziest thing you can”, was something which, as creatives, we strive to get to every day. After I’d storyboarded how the film was going to look, we went back into the school and asked the kids to actually draw what was going on in their minds. Not knowing we were going to later bring them to life, they drew all sorts of weird and wonderful things; from a pterodactyl shooting fireworks to the colourful world of Candyland. 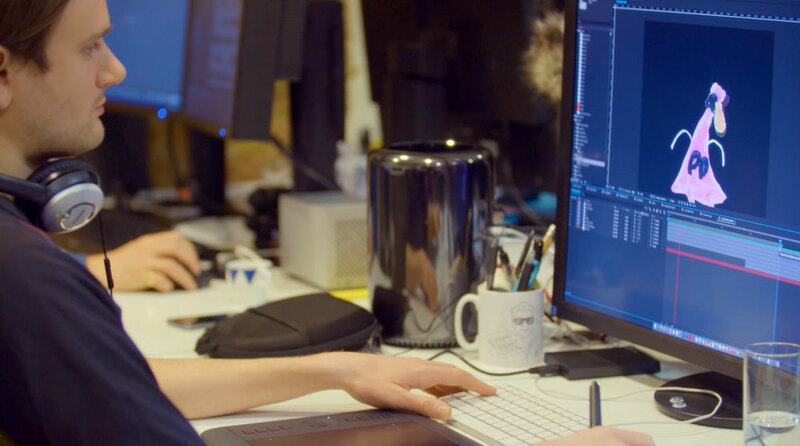 Once we had the pictures, I worked with our talented Design Director, Chris, and our in-house team of VR specialists to come up with a creative way we could animate the drawings and give them virtual life. The results were a colourful compendium of characters and something which really showcases just how revolutionary VR could be in education. 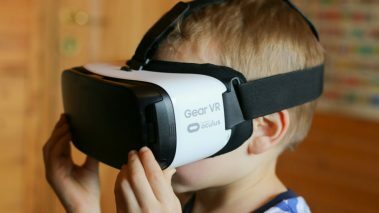 The kids reactions to the final VR experience were truly heart-warming and having the chance to add a little imagination to our everyday lives was a virtual dream. After the footage and pictures had come back, myself and the team set about finding a way to bring the drawings to life. 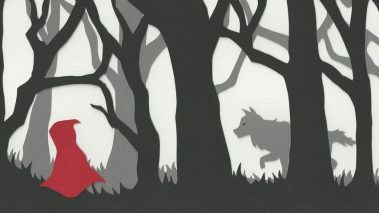 There were several ways in which we could have approached visualising the children’s pictures. Initially we thought about developing the characters, either by fleshing-out the 2D drawings or rendering them in 3D. However, we felt that the children’s reactions to the experience were paramount, and therefore they needed to clearly recognise their own creations in the video. Following some consideration, we decided to render the drawings as 2D paper figures set in a simple, bold and colourful 3D world. This way we were able to keep the original charm of the drawings but have them make sense in our 3D environment. 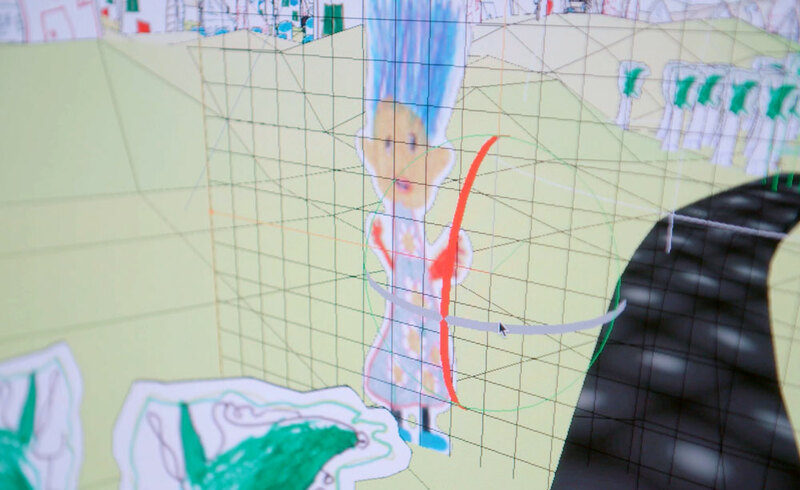 We spent two weeks interpreting the sketches and using a combination of the kids’ descriptions and our own intuition, we came up with individual ways for the characters to move. Each one had their own unique personality and once we were happy with the basic movements, we set about animating them into the virtual environment and adding textures to give them life. 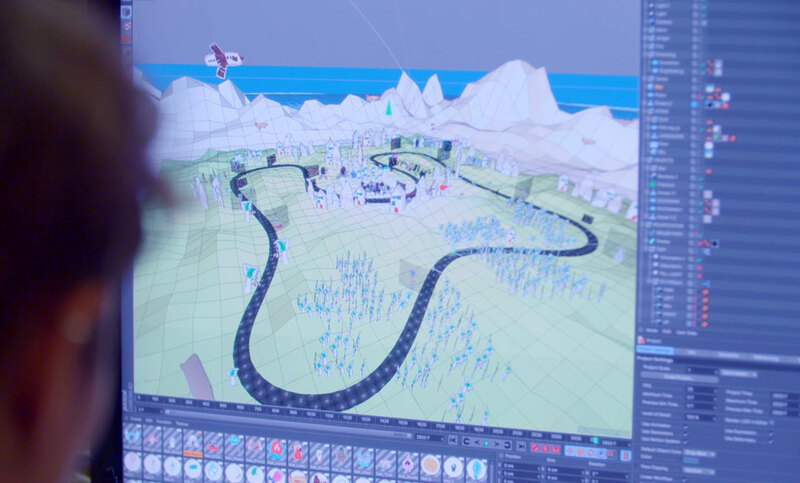 We arranged the characters around a track and were able to follow them with a 360 camera which moved round the environment. The terrain and textures were created to keep it feeling as much like the world of their drawings as possible and we were very happy with not only the result but the reactions from the kids as well. You relive what the kids saw and enjoy the full VR experience below. 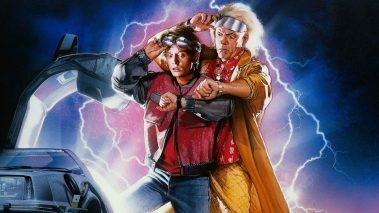 Innovation in VR: What Back to the Future can teach us about virtual reality?